Did you know using facts and figures instead of images can lower interaction? Do you appeal to your audience’s emotions to drive sales? Our brains are hardwired to base decisions on emotion and familiarity. In this article I’ll show you four ways you can use behavorial triggers to get more out of your social media marketing. As a marketer, your job is to drive behavior in others–whether it be a click, like or purchase. It can be a challenge to know how to inspire those actions, but a little background on how people process and react to their surroundings can help you do just that. I’m going to tell you about the basics of our “brain biology,” and then give you examples of how you can use it to your advantage. Hubspot appeals to our attraction to ‘new’ things. Don’t worry! This isn’t going to be an in-depth, long, boring study of the brain. I’m going to give you a few points that I hope will give you that “Ah-ha!” moment and boost your ability to reach your audience and guide them through engagement that leads to sales. In order to understand why any of this matters, it’s important to first understand (at least at a very high level) a bit more about the brain. So let’s get to it. Your brain is split into two main sections: new and old. Knowing how each section functions helps you tailor your marketing tactics to engage the part of the brain that drives behavior and influences our decisions. Your new brain controls all of your conscious, rational and analytical thought. It’s responsible for your language and long-term thinking. When you talk about facts, figures, features and statistics, you’re speaking to the new brain. Decision-making doesn’t happen here. Your old brain controls behavior, decision-making and emotions, but it can’t process words, numbers or language—it’s the opposite of the new brain. What all that boils down to is that when you use facts and figures or list features and benefits, it has little impact on someone’s behavior or buying decisions. When you use visual content and appeal to emotion, you get results because the old brain makes a connection with that emotional content and prompts action—clicking, liking, sharing and buying. 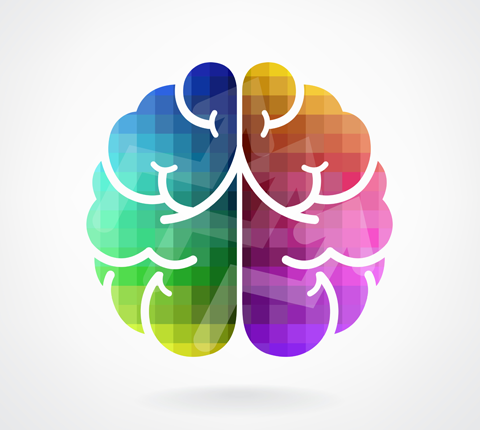 Below are four ways you can use the brain’s natural responses to create more effective marketing campaigns. Our brains evolved many thousands of years ago and we’re hardwired to be attracted to other people’s faces. We subconsciously look for non-verbal facial cues to build context around a situation so we can behave accordingly. In short, people look at faces to set the tone (gauge the emotion) of an interaction. The fashion industry takes advantage of this instinct. In the example below, Gucci included their product, but your eye is likely drawn to the model’s face first. We instinctively look for faces before products. Although highlighting a model’s face instead of their product sounds counterintuitive, it’s actually a powerful tool. The face catches your attention then pulls your attention to the clothing or accessory. Marketing takeaway: When possible, focus on the face and use facial expressions in your images to help grab the viewer’s attention and set the tone for your post. Because people react to non-verbal cues from the face, you want the face to match the emotion you’re trying to inspire in the viewer. Have you ever wondered why you cringe when you see someone fall off a skateboard? You’re not the one falling off the skateboard, so why do you flinch from the “pain”? This reaction is caused by what’s called mirror neurons in the brain. When you see pictures or video of an action, your mirror neurons make you feel like you’re actually performing the actions you’re watching. This has huge implications for marketers who want to inspire specific emotions and experiences in their audience. 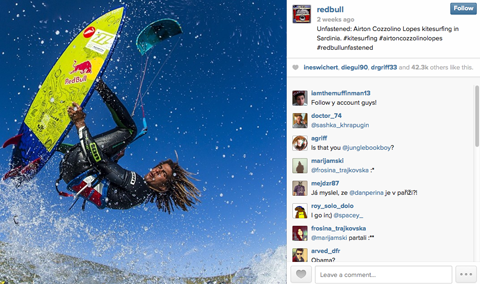 Have you ever looked at Red Bull’s Facebook or Instagram feeds? They do a phenomenal job of showcasing high-adrenaline experiences like the Strato Jump and windsurfing. Millions watched and held their breath as Felix Baumgartner jumped from the stratosphere. When their fans see these incredible pictures and videos, their mirror neurons start firing on all cylinders, which causes them to feel the same emotions, even if only subconsciously, as the people in the picture. Did you watch Felix Baumgartner break the sound barrier? How did you feel while watching? I’m betting you were just as tense as the rest of us. 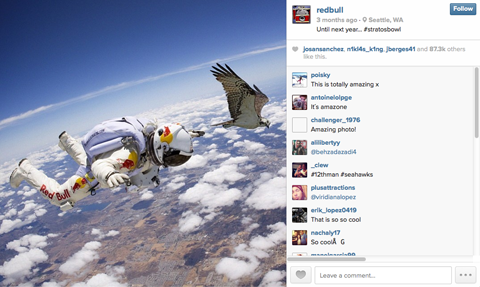 Many of Red Bull’s posts don’t even show their product (though they do include their logo). 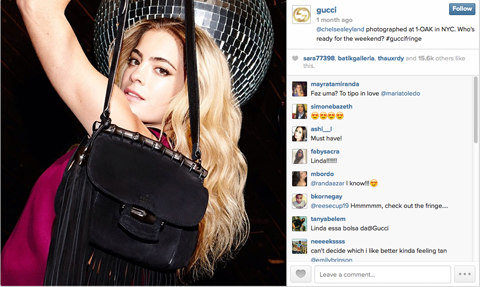 The brand’s intent is to evoke an emotion when fans see their posts. Over time that kind of marketing conditions those fans and followers to feel those same exhilarating emotions simply by seeing the Red Bull logo. Even still pictures convey intense activity. Marketing takeaway: Introduce photos and videos that show others having a powerful experience. It doesn’t matter whether the experience shows your product or an unrelated experience. The important thing is to reinforce the emotions you want associated with your brand. I’m sure you’ve seen (or maybe even created) a commercial, marketing video or picture that really struck an emotional chord—probably because it reminded you of something you experienced in your own life. Speaking directly to your audience’s previously stored memories is a powerful marketing tool because it immediately evokes emotion. You can then use that emotion to drive behavior or associate that emotion with your brand (similar to triggering mirror neurons as explained above). P&G produced one of the best online and TV ads I’ve ever seen for the 2014 Olympics. The advertisement played heavily on viewers’ childhood memories and their relationships with their mothers. Because many of the scenes in the advertisement are probably familiar memories from most viewers’ childhoods, it packed a powerful punch. It left many with goosebumps (or tears) every time they saw it. The ad ended up going viral with over 20 million views on YouTube! Marketing takeaway: Find a common experience most people have had—memories from childhood or a strong relationship from the past are ideal—then tailor your social media marketing to trigger those memories. With repetition and consistency, your audience begins to tie those emotions to your brand, product or service. The result is an influence on behavior. Since our early days, our brains have been attracted to things we’re familiar with because they give us a sense of security and safety from predators so we could go about our daily lives. However, as much as we’re drawn to the familiar, we’re equally intrigued with new things. It’s human nature to innovate and improve ourselves. Anything “new” promises that opportunity. People have an underlying urge to share knowledge in order to look good or in-the-know (you want to be an influencer, right?). So when we see something new, we’re attracted to that information in the hopes that later we can tell others about it and build our own social currency. 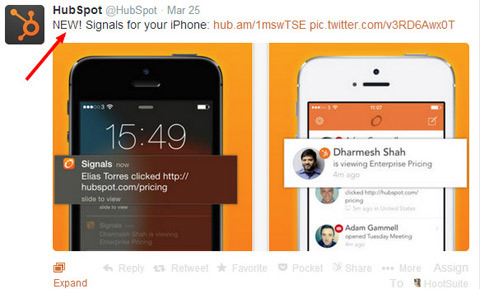 For example, HubSpot is constantly releasing new tools, content and features. They capture their audience’s attention by offering new products or services to help them learn. 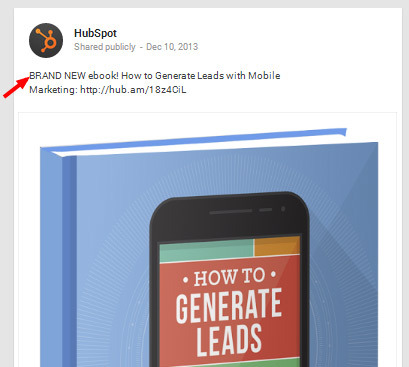 HubSpot consistently offers new ways to improve. Marketing takeaway: Use the word New to wake up the brain and draw attention to your products and services. Make a point to showcase all of the new things going on with your company, products or services, especially if they’re different than your competitor’s related products. Depending on how frequently new items emerge at your company, you may want to consider creating a dedicated Twitter account used only to announce new items. If you focus on facts, figures and features, you’re talking to the wrong side of the brain. It doesn’t care a bit about buying your product. If you want to inspire action, you have to appeal to the emotional side of the brain. Create common ground so your audience feels comfortable—provide familiarity.Highlight faces along with products, appeal to empathy and shared memories and provide something new. The recommendations in this article are just a few of many marketing concepts based on the brain’s instinctive reactions. Use these ideas and read up on others toinfluence the behavior of your audience.